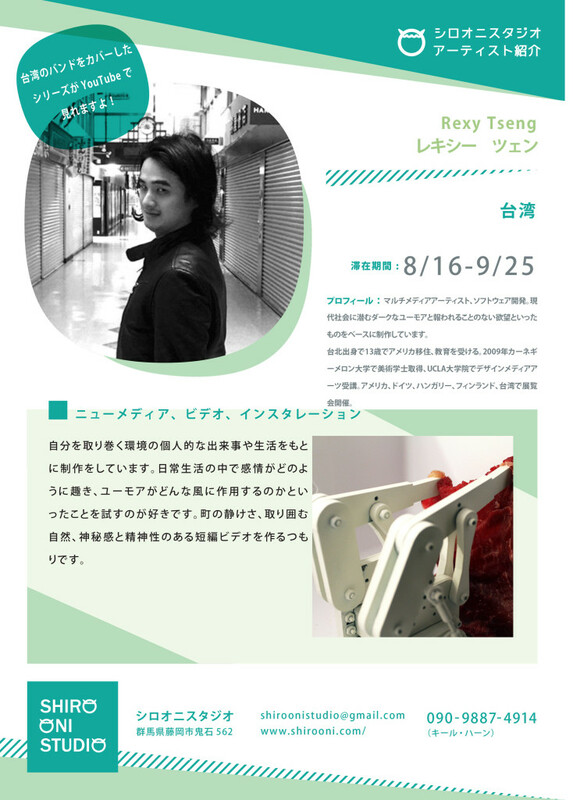 Rexy Tseng (1986) is a multimedia artist and software developer. His art practice derives from the dark humor and unrequited desires found within contemporary living conditions. Born and raised in Taipei, Taiwan until the age of thirteen, Tseng relocated to the United States to further his education. He received a BFA from Carnegie Mellon University in 2009 and attended UCLA’s graduate program in Design Media Arts. Rexy Tseng has had multiple exhibitions in in the U.S., Germany, Hungary, Finland and Taiwan.